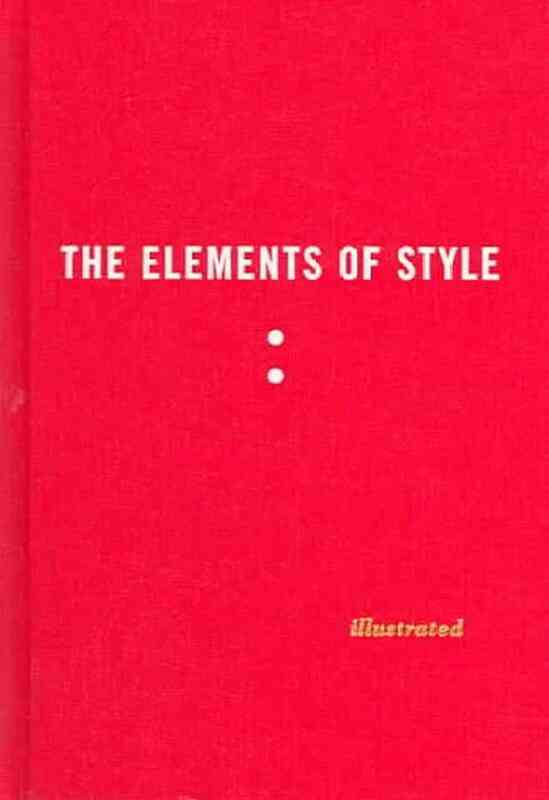 I recommend that you purchase a copy to use if you write often as well as if you write rarely; in both instances it is likely that you could benefit from style refresher. I have read enough of this genre to recognize that is challenging to come up with new ways to discuss French living and how to incorporate French culture into life in the US. Still I was expecting something a little more. 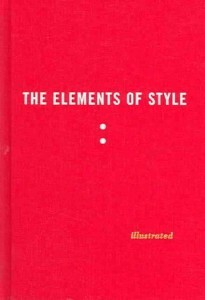 Yes, it is a style book, but I was hoping for more substance. The book (based Ms. Scott’s blog) includes twenty chapters, each focused on a lesson she learned from her host family when she spent a year in Paris about a decade ago. I know. A year does not make her an expert. However, as someone who also lived abroad for a year, I do recognize that the culture shock can leave a big impression, and what is out of the norm for a short period of time can stick with one long after that time has passed. So I’m not willing to write her off based on that. There really isn’t anything new here, but there were good reminders. The concept of the ten item wardrobe is one that I’ve seen repeatedly and am actively working towards. (Note: those ten items do not include things like underwear or outerwear, so it isn’t that big of a deal). Ms. Scott also discussed the tidbits made famous by “French Women Don’t Get Fat” (yes, I’ve read that too), like not snacking and instead of working out, incorporating more exercise into daily life. Again, not horrible advice – unless you love the gym, which she acknowledges – but not earth-shattering. Imagine similar chapters about enjoying life, seeing the arts, etc. It’s all fine, but it’s also all through the lens of someone who was not working and who had access to apparently unlimited funds. Because the author learned these ‘lessons’ while a student, she has nothing to say about work culture. It’s great that she doesn’t decide to simply make something up, but there is something lacking for those of us who spend a very large chunk of our time at work. By not mentioning the realities of outside work when discussing the importance of making a four-course dinner for the family every night, the author chooses to ignore the challenges of managing a home in which two adults work. This brings me to gender roles. Much of the book’s content seems to lean heavily on certain ideas of what women are like and what women do. There are some basic attempts at seeming progressive, but overall this book suggests that style is for the woman who works at MOST part time, and that women have certain duties to their family that apparently don’t apply to men. Or to the men she encountered in France, at least. It would have been nice to see that addressed. She also spends time on her version of femininity, even expressing approval of street harassment. Not exactly a feminist position. And then there is the author’s slight attempt at addressing economic disparity. Look, clearly I don’t pick up a book like this and expect that the author is going to focus exclusively on living the good life while working two jobs for minimum wage (although I would totally read that book). But. The ‘lessons’ the author learned were clearly from people with a TON of money, and that seems to color all of her observations. 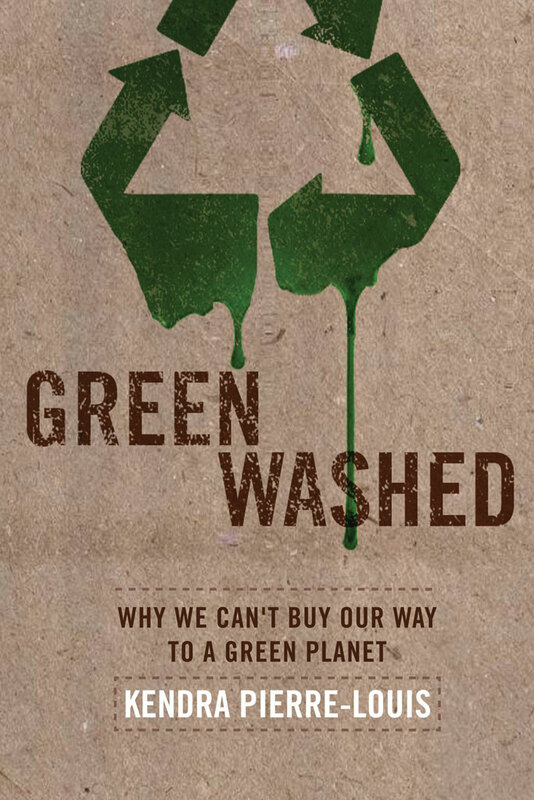 Additionally, she wrote one paragraph that discussed sustainability (sort of – she mentioned organic and local foods). In all of her talk of quality goods and clothing, she didn’t mention that one should consider things like the treatment of labor or the impact of certain fabrics on the environment. Would that have put a damper on the book? No, not if done well. If you are interested in learning about life in Paris, I recommend finding another book – Bringing up Bebe was quite enjoyable for me (and I’m not having children). 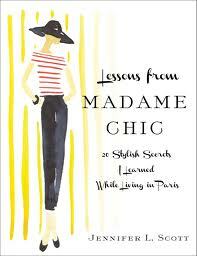 If you are interested in improving your style and quality of life, I also recommend finding another book. You can find better. You guys. YOU GUYS. This book is amazing. I started reading it Sunday morning. Now it’s Monday night, and I’ve finished all 258 pages, and I’m sad that it’s over. I found out about this book thanks to Cannonball Reader Mei-Lu, and picked up a copy on that same trip to Powell’s that netted me an okay and a good book (so far – more reviews to come). As a background, I do have a bout two years’ worth of graduate-level statistics training, and took a philosophy of science class that focused exclusively on evidence, objectivity, and how that all interacts with policy, and I still found things in this book that I’d not been exposed to before. Frankly, I’d love to see it be required reading for freshman in college (or seniors in high school) to help them become better informed citizens. The book is extraordinarily well written. At times Dr. Goldacre sounds a bit arrogant, but that’s really only relevant if that’s something you find it difficult to get past, which in this case I did not. What is more relevant is that he has great information, strong examples to illustrate his points, and an overall way with words that makes this book feel more like an outstanding novel than a science non-fiction. It reminded me a bit of Mary Roach’s works, which makes sense – she even provided a supporting blurb for the back of the copy I purchased. The biggest point I took away from this reading is frustration that the people we expect to be providing good information to us often aren’t. And that isn’t just the scientists (or I guess “scientists”) engaging in all manner of deceit to bend data their way; it’s the newspapers and members of the media who either choose not to engage in serious examination of the data and papers themselves, or frame the issue in ways not supported by the evidence. Not everyone has time to read through all the supporting evidence on an issue; that’s why we have the scientists, and the science reporters (or sadly, the general reporters tasked with reporting on science issues). When one or more of those folks aren’t providing good information, or willing to do their jobs, those of us who rely on them are taking a huge gamble. Please check this book out. I’m so glad I purchased a hard copy of it; I can tell I’ll be re-reading it and referencing it a lot in the future. I should know better than to ever go into Powell’s without a firm agreement with myself that I will NOT buy any books that aren’t already on my Goodreads list. I mean, I’ve got 138 waiting for me – do I REALLY need to walk up and down the aisles of this massive indie bookstore, pulling off books that catch my eye? Yes, yes I do. Unfortunately, I wish I hadn’t picked up this one. 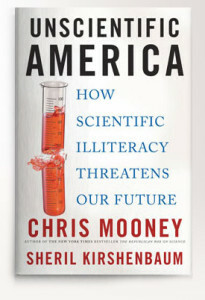 Subtitled “How Scientific Illiteracy Threatens Our Future,” Mooney and Kirshenbaum’s book purports to explore why the lack of interest in or understanding of science is a threat to the U.S. While I appreciate the sentiment, there were a few negative things that really stood out to me as I read this book, resulting in a pretty low rating. 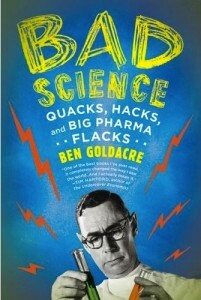 First, this book was published in 2009, and spends a good part discussing how scientists need to be better versed in how to discuss their findings and research with the media. Better communications training for all scientists is one of their main solutions to the problem referenced in the title, and overall it’s a good one. They point to Carl Sagan as a great scientist who the average person trusted and was interested in learning from; they also point out that he was essentially shunned by “serious” scientists. That’s a problem and needs to be fixed. However, one of the author’s biggest concerns is that we don’t have anyone like that these days. Say what? Has he never heard of Neil deGrasse Tyson? That man is amazing. He got The Daily Show to (for the day at least) fix their opening credits so the world spins the right way. He got James Cameron to FIX THE SKY when he released the anniversary print of Titanic. This is a man people know, a man who is trying to bridge the unnecessary gap between science and policy, and he’s not even mentioned in the book. That alone gives me pause. Second, the book has a disturbing chapter called “The New Atheists” that seeks to vilify PZ Meyers, Sam Harris and Richard Dawkins. Now, I don’t know much about Meyers, and I know that Sam Harris seems to be EXTREMELY islamophobic, and Richard Dawkins seems to be quite misogynistic. However, those were the issues these authors had. They attempt to make the case that atheists like them, who suggest that religion today is incompatible with reason, are making the situation worse. I actually get the argument they are trying to make, but they make it so poorly that it’s a bit challenging to get on their side. Additionally, while I see they have a larger goal in mind, they also seem to be doing the ‘give both sides equal time” thing they eviscerate just a few chapters earlier when discussing climate change. As an atheist (of the ‘there’s no evidence for a diving being now but if you gave me some obviously I’d change my mind’ variety) I am clearly more prone to sensitivity around discussions of this nature, so it is possible that I am either misreading that section or just disagree, but either way it left me with a pretty bad taste in my mouth. Finally, while the title was clear enough to me that this was about the specific problem of science literacy in America, the nationalist undertones were ever-present and unsettling. I’d like to see the discussion about why it’s important for people to understand science and find it interesting from a policy perspective without ending the chapter with “BECAUSE AMERICA MUST BE NUMBER ONE!!!!1!1! !” I take issue with the U.S. not fostering financial support around issues like climate change, but not because we are the best yay U.S.A.! There seem to be constant appeals to that competitive, egotistical spirit in a lot of the promotion of the STEM areas (science, technology, engineering and math), often to the detriment of the humanities, which ironically these authors correctly point out are a necessary part of even science education. A focus on why this is a problem in our country without the ‘because WIN’ argument would be refreshing. I appreciate (to a degree) what these authors were going for, but I think they missed the mark. The book was certainly an easy read (and very short, and only 130 pages of text with an additional 100 or so pages of references), and well written, but the arguments left me wanting something better.